“It is our job to electrocute them.” This week, Netflix released a new trailer for their upcoming David Fincher TV show, Mindhunter. The crime drama follows “FBI agents Holden Ford (Jonathan Groff) and Bill Tench (Holt McCallany) [as they] study the damaged psyches of serial killers in an attempt to understand and catch them, and in the process pioneer the development of modern serial killer profiling.” Anna Torv and Hannah Gross also star. 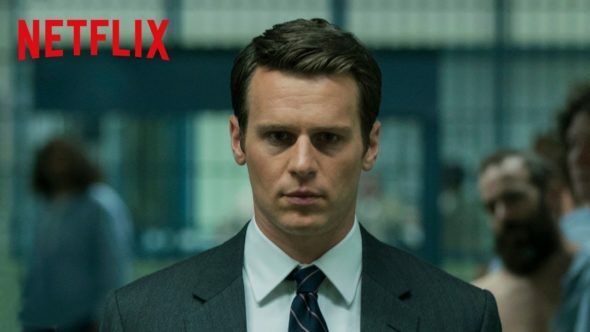 Mindhunter debuts on Netflix this Friday, October 13th. What do you think? Are you a fan of crime dramas? Will you watch Mindhunter? More about: Mindhunter, Mindhunter: canceled or renewed?, Netflix TV shows: canceled or renewed?